Central Buck East’s Lou Pannella gets off a shot in close against Truman’s Shaun Miller. (Ambler) You have a 17-2 run in the first half and a 17-4 run in the second half. You force your opponent into twenty-four turnovers while you have only twelve. You take 55 shots and your opponent only takes 36. You win big, don’t you? That’s not the way it worked out for Harry S. Truman (2-4) on Tuesday versus Central Bucks East (2-3). The Tigers from Levittown lost, 57-48, in the first round of the Trojan Holiday Classic held at Wissahickon High School. Unfortunately, all those positive Truman stats weren’t enough because the Patriots from Doylestown had better stats. (1) They scored the first eight points of the game. (2) They offset their horrible first half ball management (15 turnovers) with enough points to have a 23-21 halftime lead. 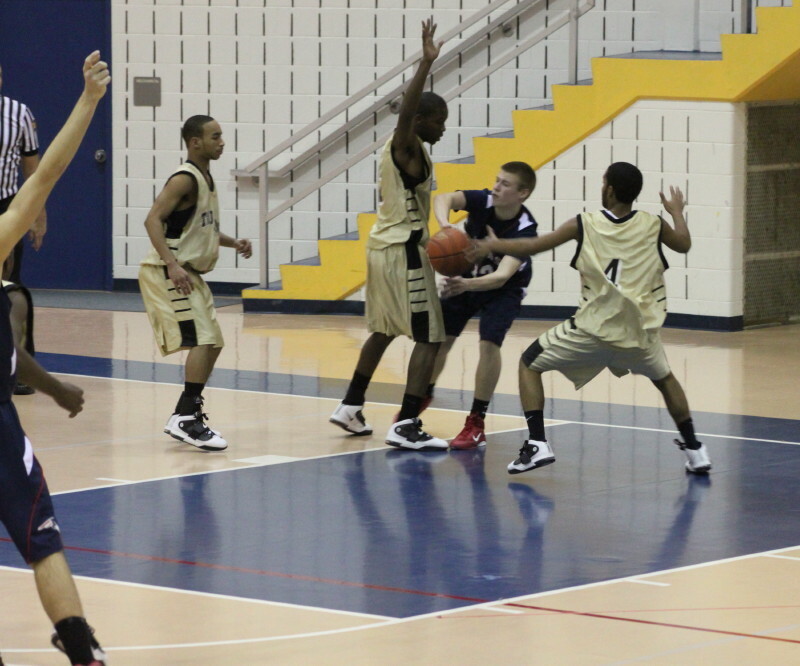 (3) Trailing 29-27, they put together a 21-2 run to get up 48-31 three minutes into the final quarter. (4) When Truman rallied late to 52-48 with 1 ½ minutes left, the Patriots shut out the Tigers thereafter and added five free throws along the way. 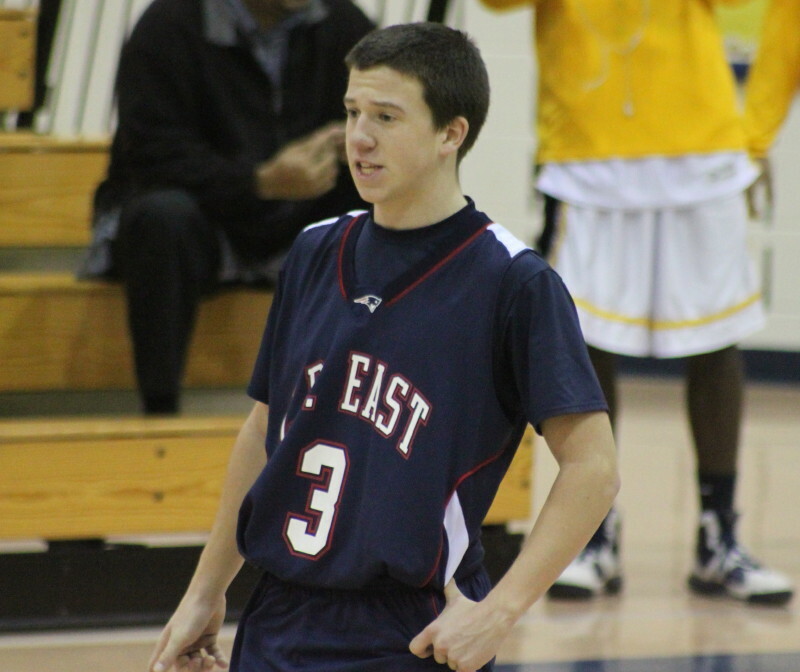 (5) East used an organized offense to get into foul-producing positions in the second half. They may have had fewer field goal attempts but at the foul line their advantage was a remarkable 31-9. It was an East zone early on that frustrated Truman’s one-on-one players. 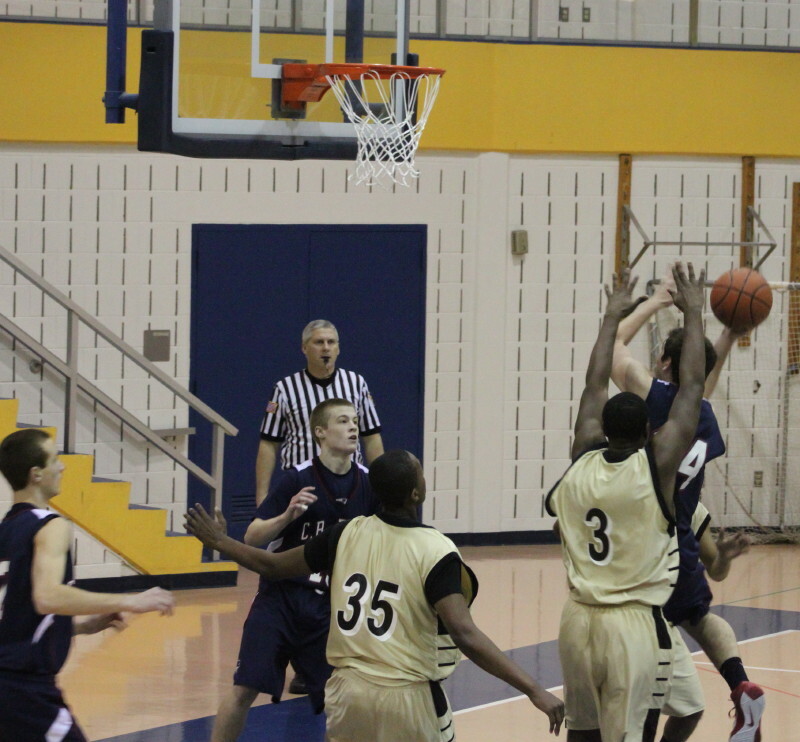 They wanted to get to the basket but the zone provided backup defenders. Steve Topley caught in a Tiger trap. The Patriots had 24 turnovers. On the other side, the Truman pressure full-court and half-court led to the frequent Patriot turnovers in the first half. The Patriots ability to run an organized offense didn’t show up until the second half. They turned out to be well-organized and alert passers once they got through the first half. The 21-2 second-half Patriot run was keyed by the shot-making of Scott Shields (9 points) and the passing of DJ Beausejour. They worked together on several baskets in the crucial run. Truman used long-range shooting (treys by Merdic Green, Lamont Waters, and Shaun Miller) to make things interesting late in the game. Lamont Waters (#4) led all scorers with 13 points. 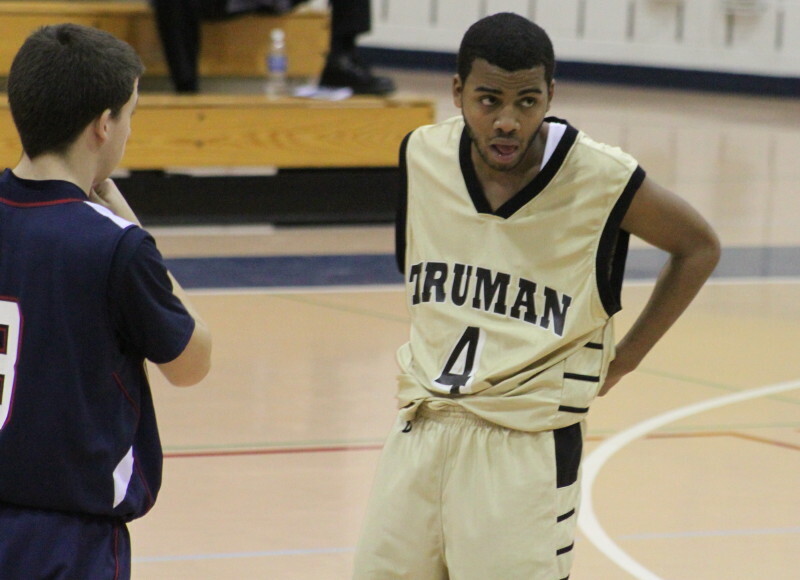 Lamont Waters led all Truman scorers with thirteen points while teammates Merdic Green and Shaun Miller added ten each. Liam Gallagher had 10 points for Central Bucks East. 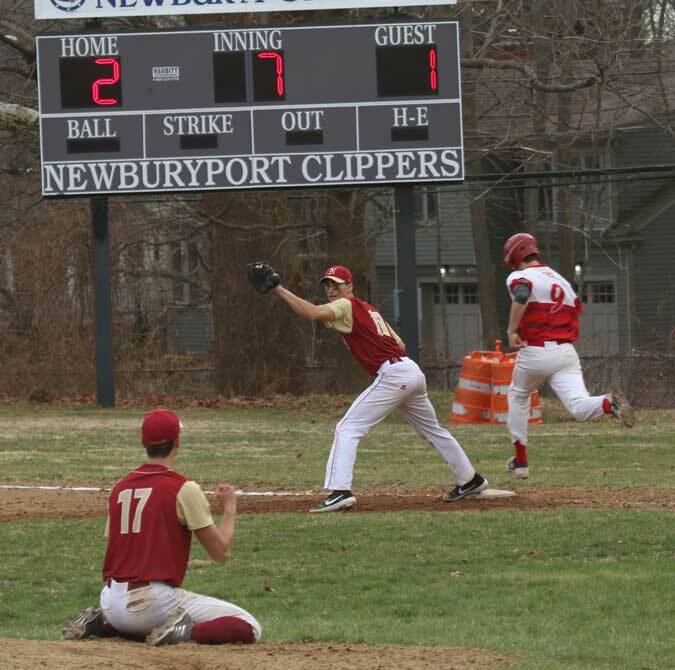 Liam Gallagher and Matt Stauffer paced the victorious East squad with ten apiece. First time for me at the Wissahickon gym. Nice setting. I come from an area (Massachusetts) where there is a shot clock. In games in Connecticut and now Pennsylvania I’ve seen how a game is played without one. Without a shot clock you’d better have a way to get the ball out of an opponent’s hand. It would seem essential that every team be able to press and press break. Stats are always an adventure at high school games. I keep my own and normally encounter mistakes the next day of my own or the box score in the newspaper. The Intelligencer’s box score totals for Truman do not add up right.